A school is where young minds come to learn about the skills that will prepare them for what the future has to bring. But how will you be able to encourage learning if the school campus has the risk of being unsafe thanks to unsolicited threats? Designate a single exit and entry point. Too many entryways mean that culprits will have a lot more options to get in and out of the campus unnoticed. But when you only set a single point of entry and have it manned by Security Patrol Services in Orange County, you will have an easier time keeping intruders out. Implement a strict visitor policy. To start, you will need a good plan that should tackle topics about who will be allowed to pick-up your students and who will be denied. Aside from a good plan, you will also be needing to enlist the aid of your staff and a provider of private security in Orange County, California to implement it. Use an automated visitor management system. Written visit log sheets are not only a thing of the past, but they can also be unreliable at times too. However, when you have surveillance cameras and visitor management software, you will have an easier time of monitoring who goes in and who goes out of the campus. Get a reliable team of security personnel. It’s fine and dandy to have high tech key cards that grant limited access (to visitors around the school). But still, you got to admit that it never hurts to have a bit of muscle around. 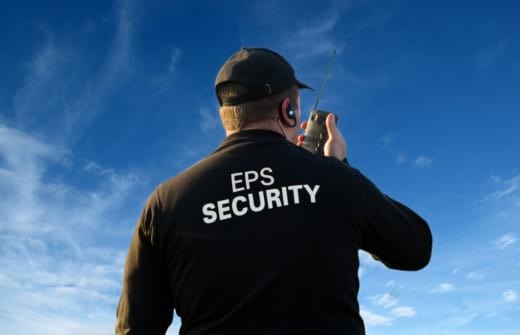 If you ever find yourself in need of security personnel that you can trust, then you should reach out to Empire Private Security, Inc. And in case you have questions about our service, don’t hesitate to call us or leave a reply down below. This entry was posted in Security Personnel and tagged Professional Security, Safe School Campus, Trusted Securities. Bookmark the permalink.